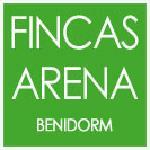 Dear Fincas Benidorm, i have just received my voucher for our arrival on the 4th October 2017. Its says on paper work to collect keys from 16.30 until 19.30 from your office. our flight will land around 10.30am so we will be at the apartment by midday, will we still be able to collect keys from your office at this time or do we need to collect from the buenavista? Then your travel agent havs not booked an apartment with us in Torre Levante, they have booked with other apartment provider in the same building, so please contact them about check-in, deposits, conditions, etc. oh yes your Fincas Arena, so sorry for the confusion. Uzyskaj odpowiedź od personelu i byłych gości obiektu Torre Levante Apartments.